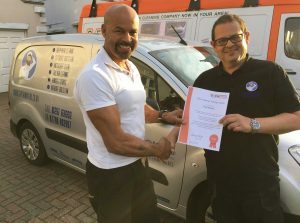 The King Academy, the training branch of OvenKing provide cleaning training, marketing and business training for a range of cleaning industries and services. 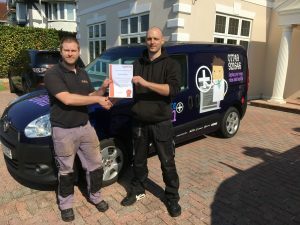 Born from the experience of OvenKing and our own cleaning service companies, The King Academy have expert knowledge and experience directly in the industries for which we provide training. 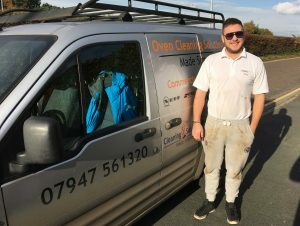 We have been training oven and other types of cleaner for over 5 years and these trainees have gone on to run their own successful cleaning businesses, our courses are accredited and will deliver the skills and advice necessary to run your own business or work for an existing cleaning company. With our training you can be your own boss, set your own hours and earn upwards of £62,000 a year. Our courses are accredited, great for when another party is contributing to costs. Our training will prepare you for a business that can earn you over £1000 a week. Our trainers have direct, relevant experience and are actively working in the industry right now. You will get the opportunity to learn and practice on real cleaning jobs with our technicians. We will give you advice and guidance on making the most of marketing your business. Members of our Academy get access to ongoing support, advice, features and discounts. If you would like to hear what some of our trainees have to say about us and our training packages, why not check out some of our testimonials from past trainees. Thanks guys! I thoroughly researched the best training packages as a gateway into the industry. I am delighted to have chosen Ovenking. I spent a week with you and have to say the training was superb and the amount of knowledge you shared with me is invaluable. 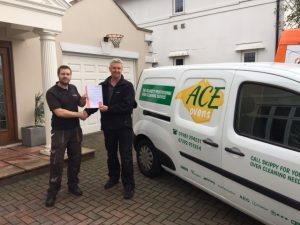 My van looks the business – very professional and the chemicals and solutions are working well. Website support is brilliant and any questions I have asked since have been answered almost immediately – great service! Bookings are good and everything is looking positive going forward. Thank you for the training experience, it was exceptional and a pleasure meeting you all! I am interested in purchasing chemical products, unfortunately I am limited by the space travelling home, I am sure you understand. I will keep in touch and will probably accept OvenKing’s ongoing managemtn ans support package for the future.